All berries at Burlington Berries are protected by state-of-the-art Haygrove polytunnels for the majority of their cropping life. The polytunnels protect the crop from rain damage, advance and prolong the picking season, and help create a favourable growing microclimate. In addition, they encourage beneficial insects which biologically control pests, and pollinators such as bees, and finally they help to combat the spread of disease. Polytunnels also create a more pleasant environment for the people working in the field. 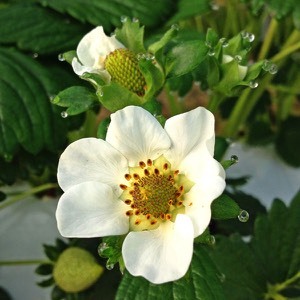 Strawberry varieties in Australia are focused on day-neutral types (everbearers). Everbearers form flower buds whatever the day length, that produce flowers and fruit all summer long with seasonal peaks in November/December and then again in February/March. 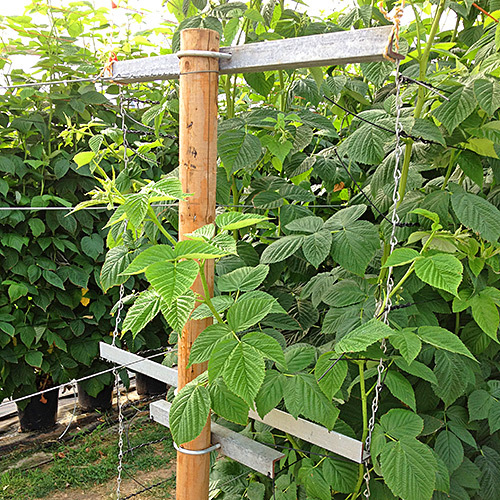 Raspberries are produced on long canes supported by a wired trellis. There are different production methods based on the age of the plant and the cycle of the crop. We grow our berries in both soil and coir substrate. The strawberries are grown on shoulder high 'table tops' which make for easier picking. The grow bags are filled with coir, a natural coconut fibre growing medium which can support several successive crops and is then recycled as a soil conditioner. Burlington Berries works closely with world-renowned plant breeders Driscolls, who use traditional plant breeding techniques to create better-eating varieties of berry, including Driscolls Amesti strawberry and Driscoll’s Maravilla and Margarita raspberry. Located on the Macquarie River we have a continuous supply of clean and natural water from the Western Tiers. Flowing from Arthurs lake down into Lake River and then to the Macquarie our water is tested regularly and used for drip irrigation. Run off from irrigation and rainfall is collected and recycled onto our crops. 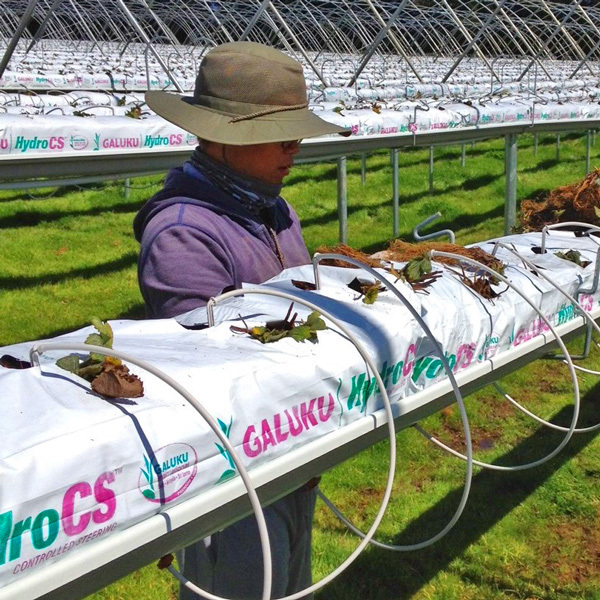 The farm uses integrated crop management techniques, combining good husbandry practice with careful monitoring of pests and diseases. Chemical controls are only used when strictly necessary, as naturally-occurring beneficial insects are introduced into our crops to control pests. We also encourage beneficial insects by maintaining shelter belts and buffer zones around the crop boundaries. Berries are harvested continuously from November through to June by groups of pickers under the supervision of skilled harvesting staff. High standards of food hygiene and crop handling are maintained. Our pickers are carefully shown how to handle the plants and fruit so as not to damage the berries, as all are hand picked directly into the punnets. Early morning starts ensure the fruit is picked when it is not too hot. The picked fruit is transported directly to the rapid coolers at the packhouse, where the field temperature is reduced to 2-5˚C to preserve shelf life. All trays are clearly traceable back to the picker responsible, through a bar coding system, so the field supervisor has constant feedback about the quality standards achieved.